Alcoholics Anonymous is not organized in the formal or political sense. There are no governing officers, no rules or regulations, no fees or dues. The need for certain services to alcoholics has, however, been apparent from the beginning of the Fellowship. Inquiries have to be answered. Literature has to be written, printed, and distributed. Requests for help are followed up. We need to cooperate with health workers. We need a central body to provide guidance on the AA Traditions. To carry out these functions, we have The General Service Office of AA, with a small, full time staff based in Sydney. The General Service Office is responsible to AA groups throughout Australia. It deals directly with members, AA groups, the public, and similar bodies in other countries. 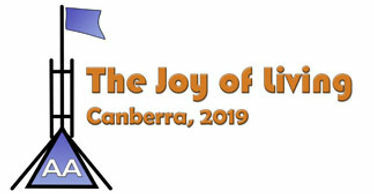 The General Service Office also has the responsibility to provide AA Conference—approved literature, which is imported from the US or printed here in Australia for distribution Australia-wide. The newsletter AA Around Australia is prepared by General Service Office staff and distributed to all groups in Australia, to overseas offices and other interested parties. The General Service Conference meets each year. It consists of 18 delegates from the Area Assemblies, 12 Trustees of the General Service Board, the General Service Office office staff and others who may be invited. The Conference acts as the group conscience of AA members in Australia. It provides a link between the groups and the trustees who serve as custodians of AA Traditions and interpreters of policies affecting the fellowship as a whole. The Conference appoints the trustees to the General Service Board. The General Service Office is not set up to refer people to particular AA meetings. This role is handled by Central Service Offices. At the local group level, formal organisation is kept to a minimum. The group may have a small steering committee and a limited number of rotating officers—”trusted servants” whose responsibilities include arranging meeting programs, providing refreshments, participating in regional AA activities, and maintaining contact with the General Service Office of AA. The principle of consistent rotation of responsibility is followed in virtually all AA service positions. Positions in the local group are usually rotated semiannually or annually. Delegates to the General Service Conference traditionally serve no longer than three years and alcoholic trustees of the General Service Board are limited to a four-year term.